Alexandria Ocasio-Cortez’s “Green New Deal” may be the signature policy proposal of the left right now, but Senate Democrats are planning to kill the plan in its tracks. Today, Senate Majority Leader Mitch McConnell is planning to bring the “Green New Deal” up for a vote, and CNN reports that Senate Democrats are expected to block the proposal by refusing to vote for it. “Democrats plan to counter McConnell’s move by voting ‘present’ instead of for or against the plan — which requires 60 votes to advance — arguing the Green New Deal at this stage is more of an aspirational document than finely crafted legislation ready for a vote,” reports CNN. Why has the left suddenly stopped claiming urgency on the environment? 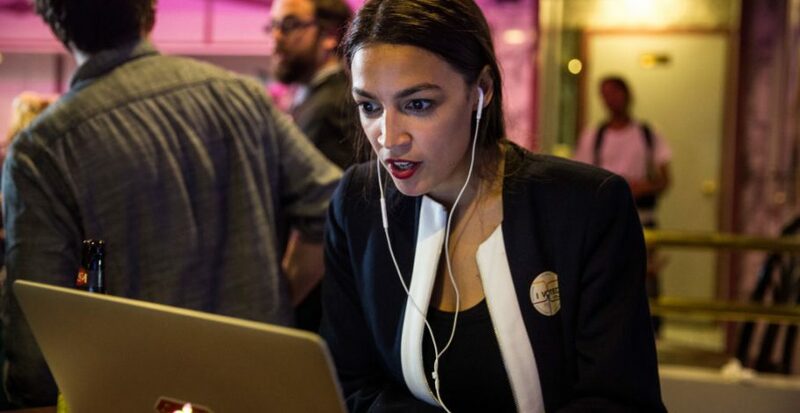 Alexandria Ocasio-Cortez has warned that the world will end if we don’t make drastic changes in the next 12 years – if it’s so urgent, why would Democrats decide to kill their signature plan? Senators Kamala Harris, Elizabeth Warren, Bernie Sanders, Cory Booker and Kirsten Gillibrand all support the “Green New Deal.” It doesn’t matter whether they vote “yes” or “present” – we all know where they stand. These candidates support a “Green New Deal” stuffed with non-environmental policies like cash for those unwilling to work and a government takeover of healthcare. They’re openly willing to bankrupt our nation. That they won’t vote “no” to such ridiculous policies says all you need to know.